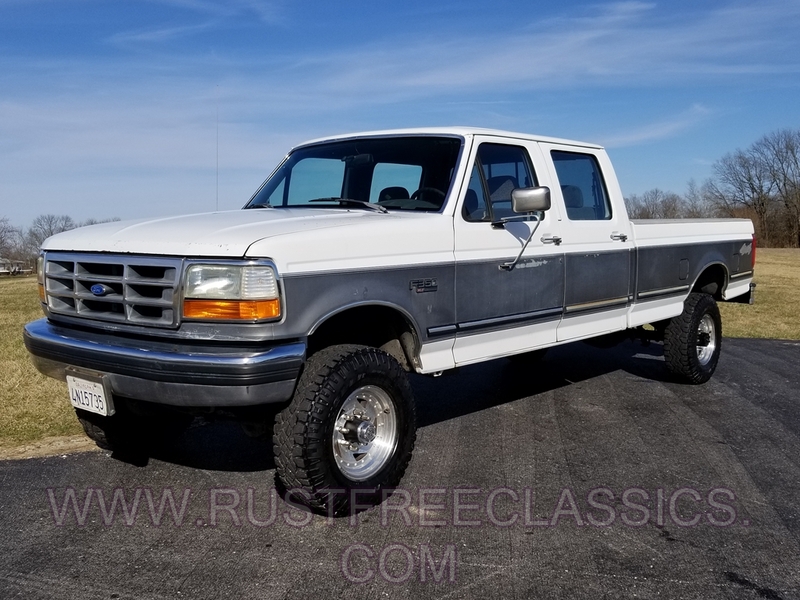 1992 F350 crew cab 1 ton 4x4 with XLT trim. These trucks have really gotten popular the last few years. 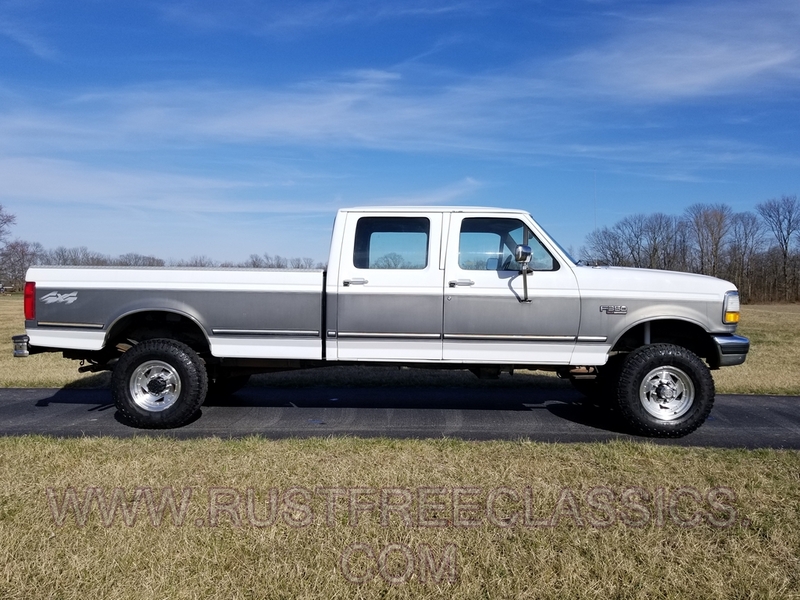 We all want a 70's crew cab but they are all gone or $50k. 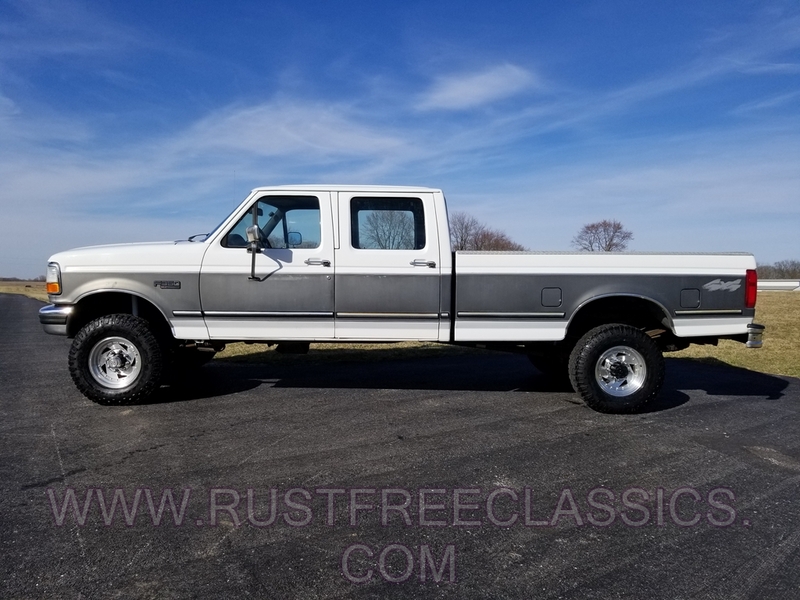 The 90's Old Body Style (OBS) crew cabs are a great alternative. They run stronger, get better fuel economy, are well optioned, and still have the good heavy duty parts. This one is 100% rustfree from California. It is very clean inside and out. It is a straight, original paint survivor. It has a nice proud stance, with only 195k miles. The body hardly has ding in it. Even the bed is clean inside. 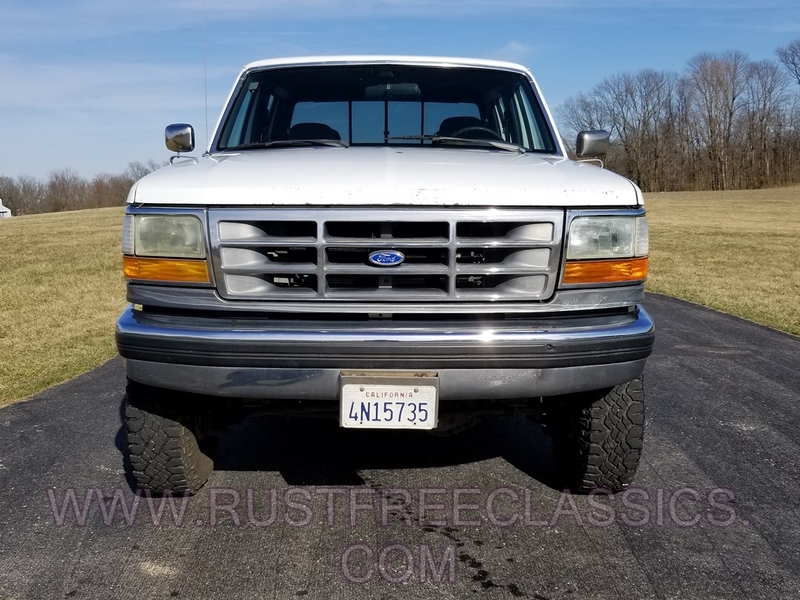 This truck has been well cared for, and not used as a work truck. 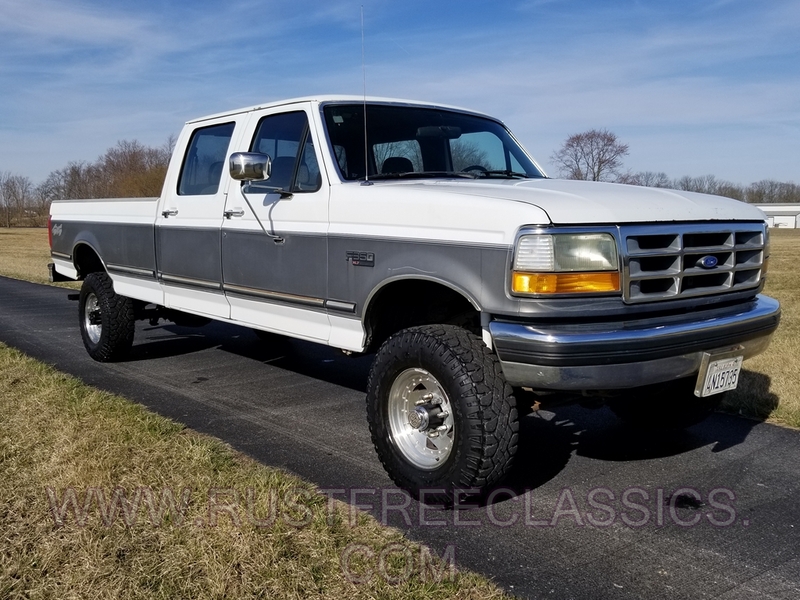 This is fully optioned "XLT" model. It features a strong fuel injected 460, nice shifting overdrive automatic, A/C, PW, Tilt, Cruise, factory tach, Class III receiver hitch, Dual tanks etc. The interior is also very clean and even still has its working original factory AM/FM stereo. As mentioned these F350's are loaded with heavy duty parts. 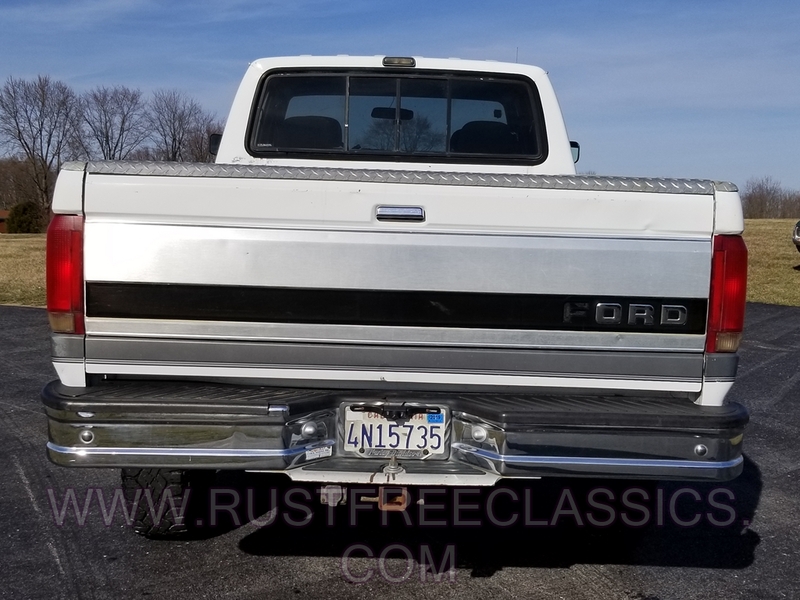 This one feature the bullet proof straight axle Dana 60 front axle with the Sterling 10.25" limited slip rear axle with 4.10 gears. Mechanically this truck need nothing. The exhaust is sound, the brakes stop nice, and the suspension is tight. It has nice stock sized 235/85/16 Good year Wrangles on nice aluminum wheels. It even has a matching spare tire.